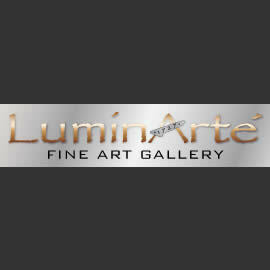 From October 6th to the 28th, 2012, LuminArte Gallery in Dallas, Texas is hosting “Imagine,” an international art exhibition created by the founder of the International Biennale Artists Group, Israeli artist Elisha Ben-Yitzhak. Located at the burgeoning DADA District, the Dallas Design District that continues to grow and become more diverse in Texas’ third largest city, LuminArte Gallery will present a roster of international contemporary artists including the work of Ben-Yitzhak. Ben-Yitzhak has chosen a core group of artists whom he personally feels reflect the ideal of Arete, the classical Greek concept of excellence which is closely connected with the notion of the fulfillment of purpose reaching the highest human potential. “No matter what your faith is, Jerusalem will always be in your prayers; there is no city in the world so beloved as the city of Jerusalem,” he added.